With headlines about "frenzied" black rioters and "scenes of chaos" dominating the media, you might believe the aggression of 35 individuals arrested during Saturday night&apos;s protests for Freddie Gray in Baltimore are representative of several days of protests. Gray, a 25-year-old black man, died on April 19, a week after suffering a spinal cord injury while in police custody in Baltimore. The officers who pinned Gray to the ground during the arrest have been suspended with pay pending an investigation by the Baltimore Police Department and the Justice Department. For now, the police remain free. The public disgust at images of angry and disappointed black people tossing objects through store windows and at police cruisers contrasts with how the media responds when mostly white college towns and campuses are scorched by flames after sporting events, as was the case at the University of Kentucky in early April. Then, headlines mentioned "college kids" or "Kentucky fans," rather than focusing on the violence of their actions. What&apos;s more, the media&apos;s coverage of contemporary uprisings, especially those involving black people, ignores the fact that sustained resistance in response to state injustice is an essential part of American history. Civil disobedience began well before black uprisings during the civil rights and #BlackLivesMatter movements. Take the Boston Tea Party. 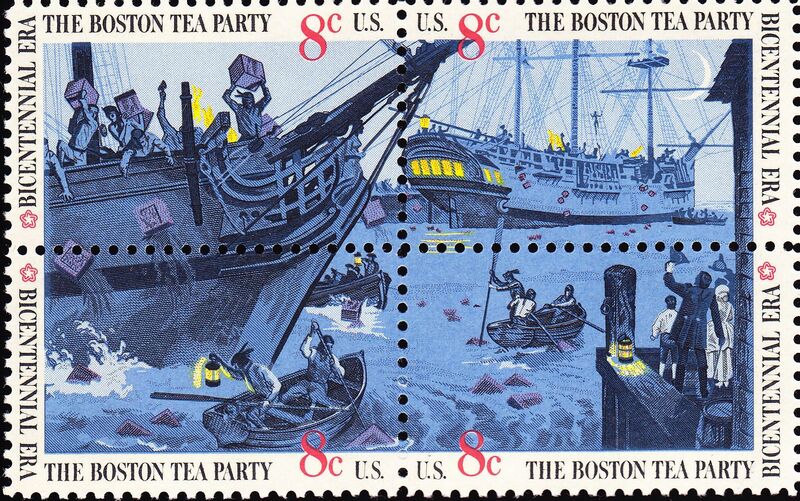 More than 100 colonists rebelled against the Parliament of Great Britain in opposition to the Tea Act of 1773, by looting more than 90,000 pounds of tea from the East India Company and tossing it into Boston Harbor — a loss equivalent to $1 million in today&apos;s currency. Yet it&apos;s unlikely we&apos;d name "American patriot" Samuel Adams, who led the looting with other Sons of Liberty, a violent agitator. The public&apos;s tendency to uphold certain actions as patriotic and others as destructive terror shape our narratives of resistance. Gray&apos;s story emerged during a moment of national concern regarding the overwhelming number of black people killed by police over the past decade. His death has also brought national attention to the pervasiveness of police misconduct in the city of Baltimore specifically. "Since 2011, the city has been involved in 102 court judgments and settlements related to allegations of civil rights and constitutional violations such as assault, false arrest and false imprisonment, making payouts that ranged up to $500,000," according to the Baltimore Sun. Gray&apos;s family, and many others in Baltimore and throughout the country, are demanding justice on behalf of another black person whose name now figures as a hashtag signifying death and injustice. Black people in the U.S. have experienced inordinate amounts of injustice at the hands of those who have sworn to protect citizens, police and the court systems included. Chicago police Det. Dante Servin, for example, is free even after he shot 22-year old Rekia Boyd in the head, killing her, while he was off-duty. Detroit police Officer Joseph Weekley is free after he shot and killed 7-year-old Aiyana Stanley-Jones with an MP5 submachine gun during a search of her home. And New York police Officer Daniel Pantaleo is free after being videoed choking to death 43-year old Eric Garner. The fact is, black people ages 20 to 24 are the demographic most likely to be killed by law enforcement, according to the Centers for Disease Control and Prevention. We must not lose sight of the fact that this reality is what fuels disobedience in the first place.